“Reserve” Secret barrel – 40 ml Gift Pack, Paperback. A flavoring obtained from industrial chain of PGI products (Protected Geographical Indication) using only cooked must and wine vinegar, aged in wooden barrels various, but without the use of caramel or other products of manipulation. Seasoning “Reserve” Secret Barrel 40 ml : obtained from the same chain of PGI products containing cooked must and wine vinegar as required by regulations but, aged in casks of different Woods, you give great value to distinguish the fine tastes sour exalted in combination with boiled or organoleptic cheeses or simply to enhance a simple appetizer or a drink. Gift format, but for family use, ideal for grilled vegetables, the red and white meats cooked and raw but also soft cheese and grilled, a simple omelet but, We recommend that you, try it on vanilla ice cream. What are the condiments: Everything that does not follow the specification PDO or PGI for even a parameter of those regulations, must be otherwise defined on the label, for us then “Seasoning” We are going to accompany you to a proper name to distinguish the product commercially. 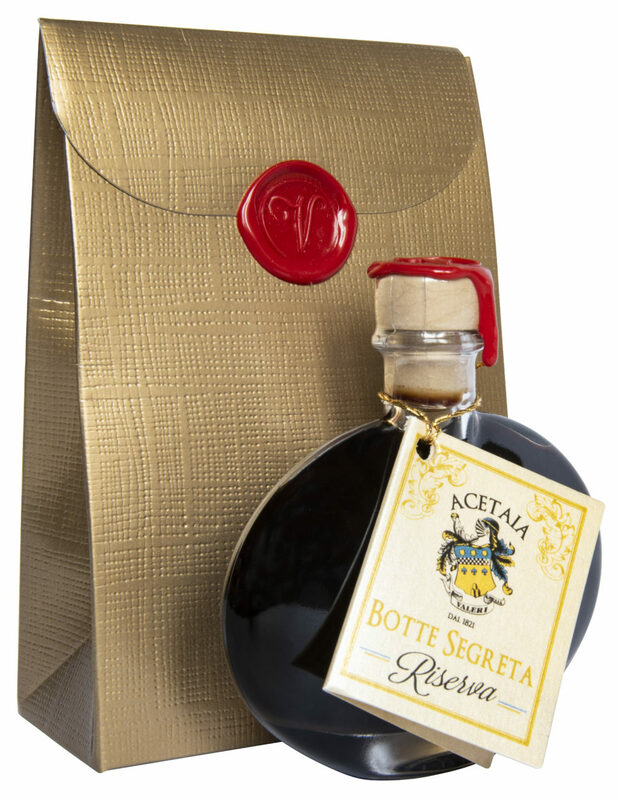 Are usually made by the same production of balsamic vinegar of Modena or derived from the same supply chain of the two PDO, complete with different aromas acquired in steps different wood barrels, to ensure that products from real alternative and balsamic aromas. Different is the sauce "secret Barrel" because proceeds from the traditional supply chain.